Innovation! – Mark Loves History! Today in History, October 18: 1954 – Texas Instruments and I.D.E.A. 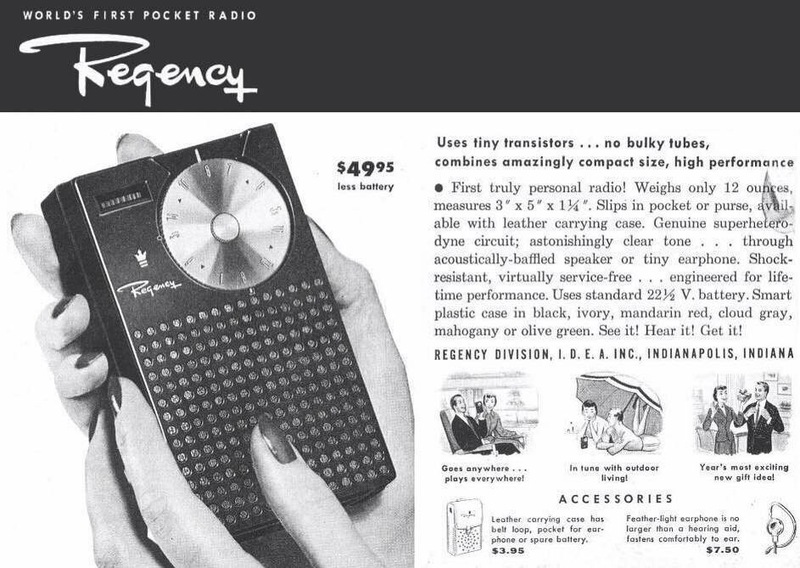 announce the first commercially viable transistor radio for sale. Previous radios had used vacuum tubes and were heavy and bulky. Now, with this cutting edge technology, you could carry your music with you!